Why is the NXT newcomer replacing Sawyer Fulton? 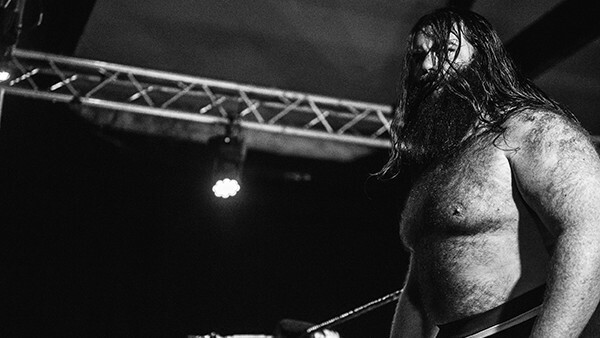 UK star and former WhatCulture Pro Wrestling World Champion Big Damo made his WWE TV debut on Wednesday evening's episode of NXT, staring down Eric Young and Alexander Wolfe from Sanity. On future episodes of the show that have yet to air, Damo joins the group, taking Sawyer Fulton's place. According to the Wrestling Observer Newsletter, the reason for Fulton's replacement is that the NXT rookie has suffered an injury. His exact status is unknown, but it is believed that he damaged either his shoulder or his bicep, and he will be of action for several months. The last match in which he competed was a six-man tag team contest against No Way Jose and TM-61 in Boston on November 17. Fulton first signed with WWE in 2012, though he's been slow to develop. Over the past several years, he's largely been used as an enhancement talent, with the September debut of Sanity marking his first major shot at a storyline. Damo, meanwhile, signed with the company in October after months of speculation, and began working the NXT brand's house show tours in November.